>After Thea’s 6 month check up we decided to go ahead and start her on some solid food. I debated about how I was going to go about solid foods this time around. 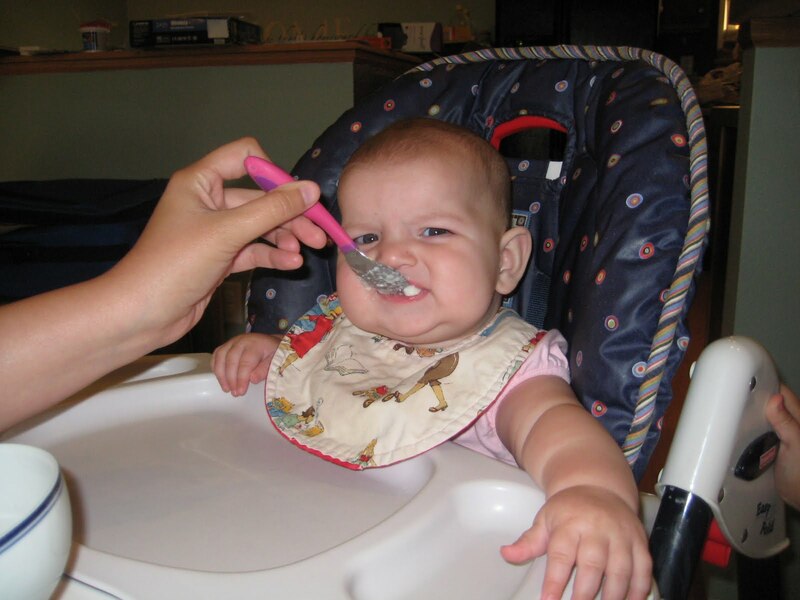 I had read about a method of solid food introduction that skipped past the puree and went right into self feeding, and I found that idea to be appealing. 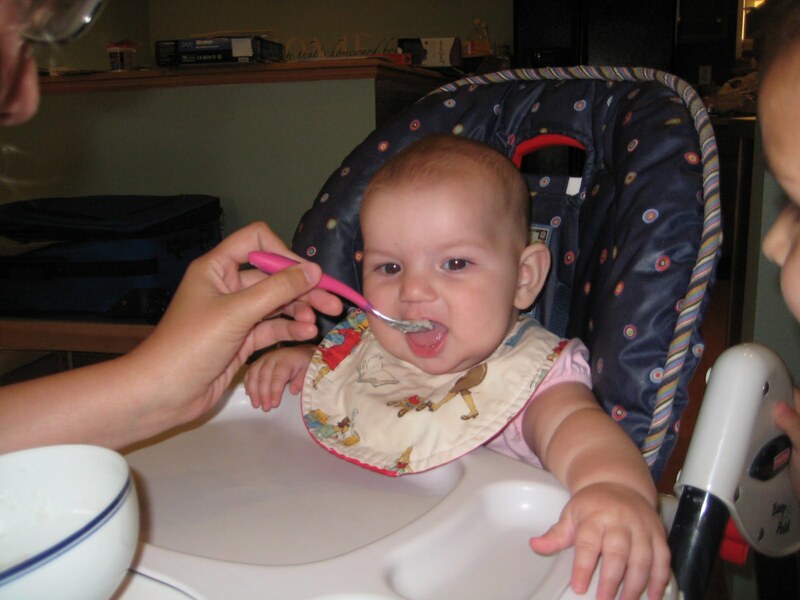 When it came down to it though, we decided to do a bit of a baby feeding strategy hybrid…we did start with some rice cereal, but we are going with mashed or food processed soft foods and skipping the Gerber. I am hoping that this way we can get her onto table food quicker, but who knows! So far she has had rice cereal, apple sauce, banana and now squash. She is still getting the hang of the whole eating thing, but she is interested in everything we have given to her and so I am happy. 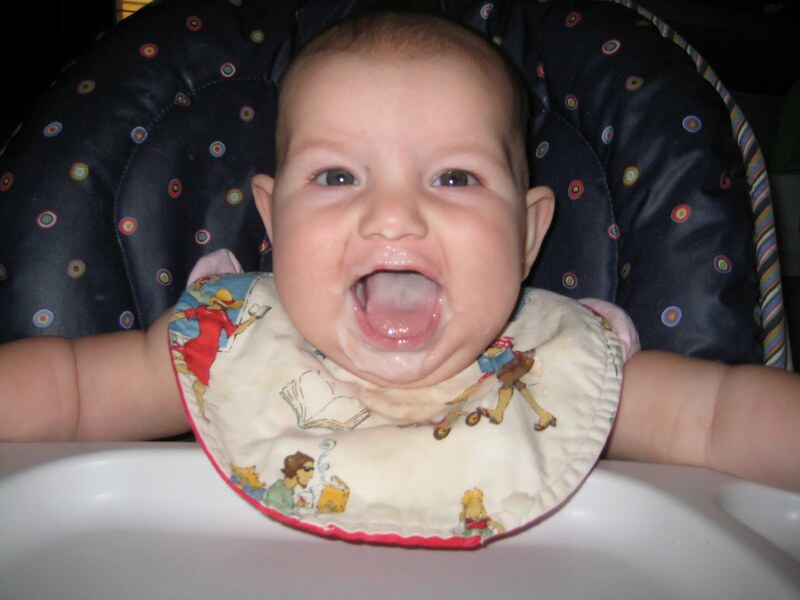 These pictures are from the evening of her first meal…rice cereal mixed with breast milk. She wasn’t so sure about it!